No more QE and balance sheet contraction predicts Jim Grant. 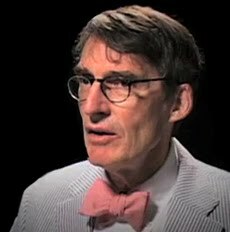 In preparation for what we are about to receive from the Charmain of the Fed, may we be truly grateful, Jim Grant offered CNBC's Maria B the forthright advice last night "prepare for platitudes but watch what they are doing not what they are saying". The ever outspoken Grant notes that the Fed's balance sheet has been contracting (unlike Maria's mainstream perspective); for the past three months the Fed's balance sheet has contracted at an annualized rate of 10% - even as Fed-head after Fed-head talk up QE and so on. So unless they continue buying securities - since the short-dated positions will continue to roll off - the Fed's balance sheet will continue to contract and therefore the stimulative effect will fall. Grant does expect QE3 since it is the fun-drug that we have been using for 4 or 5 years and that Bernanke will need little pushing to continue the Grand Manipulation. He ends on a rather interesting note that the Wisconsin win and the potential for an Obama loss in November may be more of a positive driver for stocks since markets begin to revert to a free market once again - we suspect this is not the case given the donors/beneficiaries under Romney's wing. But rest assured - the bespectacled bear ends on the chilling note that 'the long-term implications are bad' for the ongoing manipulation that is now the status quo.